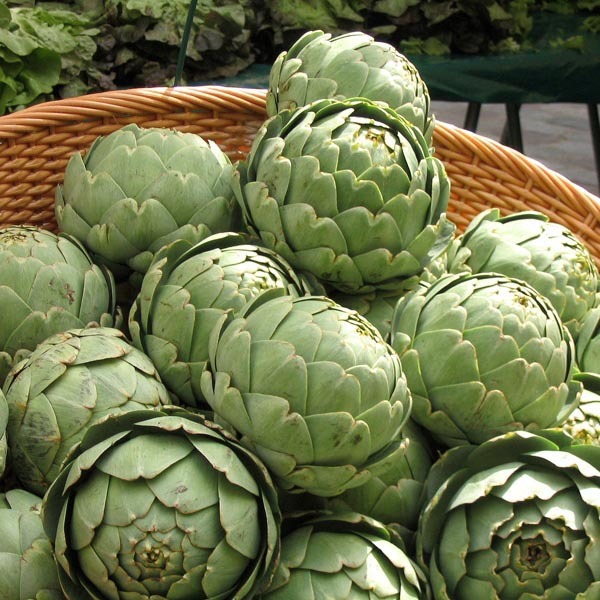 Artichokes are native to the Mediterranean region and were originally prized as a delicacy reserved for the nobility. 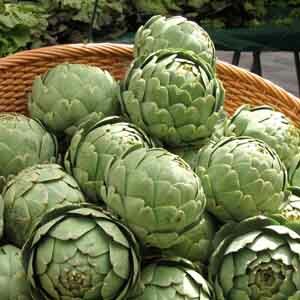 The part of the artichoke that is actually eaten is its flower buds. The tender heart of the bud is delicious for use in a variety of recipes, steamed, or pickled. Plants are perennial in frost-free regions, but with suitable mulching can be grown in colder climates. The plant is so beautiful it can be grown among garden ornamentals or planted in a row to create a “friendly” fence. Superb for adding flavor to casseroles and dips. Delicious when lightly steamed or boiled. An excellent source of vitamins and minerals. Wash fruits, vegetables and herbs thoroughly before eating. Plant in a reliably sunny spot. Space 4' (1.2m) apart in fertile, well-drained soil. Cut in late summer before fruits open. Trim spent stalks back to base for new shoots.